Tanya Hristova was born on 19 July 1971 in Pleven. She obtained a master’s degree of English philology and Finance from „St. Cyril and St. Methodius“ University of Veliko Tarnovo. She specialized in the domain of project and programme management. From 2008 to 2010 she was a Deputy Mayor for „Sustainable development“ of Gabrovo Municipality. In 2010 and 2011 she worked as a chief of the political office of the Minister of EU funds, manager of the Central coordination unit and a Secretary of the council of control and management of EU funds. Tanya Hristova was the Mayor of Gabrovo Municipality in the period 2011-2015 and was re-elected for a second mandate at the local elections in October 2015. At present, she is the leader of the Bulgarian delegation of the local authorities at the Committee of the regions in Brussels and a full member of the Commission for Territorial Cohesion Policy and EU Budget and Commission for Social Policy, Education, Employment, Research and Culture. Mrs. Hristova, Gabrovo municipality is one of the first Bulgarian municipalities approved for green public procurements. 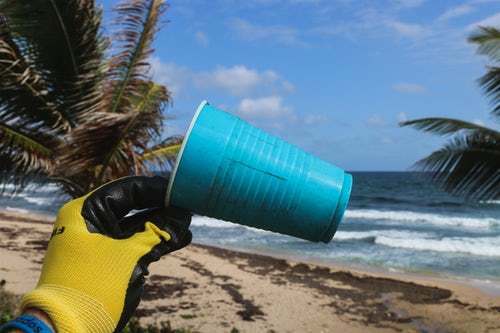 Could you tell us more about this good practice that’s gaining steam both here, and in Europe? Improving, revitalising and protecting the environment are among the priorities of Gabrovo municipality. Over the last few years we have been focusing on the implementation of policies aimed at sustainable development of our technological and ecological infrastructure, energy efficiency measures and overall application of approaches that help us establish ourselves as a “green municipality”. One of the ways we achieve our goals is precisely via the “Green public procurements”. Integrating eco-friendly approaches and resource efficiency into public procurements allows us to use them as a policy-making tool instead of as simple means of purchasing goods or services. It’s important to note that green public procurements provide additional economic and ecological added value to the process of public spending. In order to gain experience and knowledge in this area of expertise, we participated in some international projects. We successfully completed the SPP-Regions project, part of the Horizon 2020 programme. The participants and their networks announced 29 public procurements in different fields. Gabrovo municipality announced 4 of them and tried to use the models by which they are granted for other national and international projects and initiatives. Gabrovo municipality took part in a network for sustainable and innovative public procurements in which partners share their experience. Soon after, we were approved and integrated into the “Green public procurements and sustainable tools for the integration of resource efficiency” project. All the while, we’re participating in the partnership for Sustainable public procurements, part of the EU City programme, where we work with the goal of improving legislature, financing and knowledge in the area of green public procurements. As a result, we have already completed projects with added ecological value, including the first passive kindergarten and the renovation of “Saints Cyril and Methodius” Secondary School. We greatly improved the healthiness of the school’s environment by introducing automatically controlled valves for the building’s joinery, by planning a maximum amount of water that can pass through its faucets and other such measures that save resources and help hit ecological targets. We also announced a public procurement for electrical buses based on a principle task to allow for competition of different technologies which further enhances competition and stimulates innovation. Overall, we’re aiming to raise the percentage of public procurements that include criteria involving environmental protection. Gabrovo was recognised as one of the best beneficiary cities in the EU in an initiative by MEPs. Tell us more about this honour. 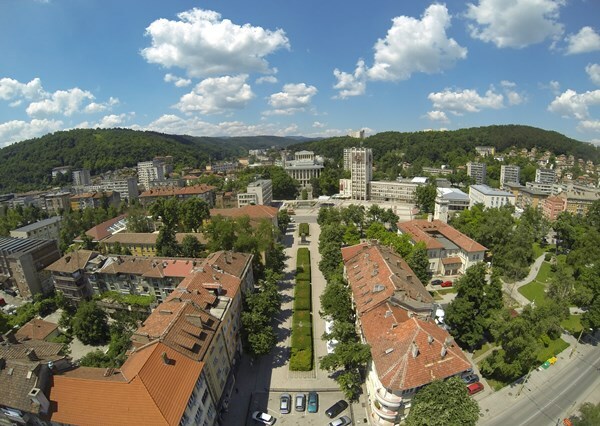 In July of last year, Gabrovo was notified that it had been recognised as one of the best beneficiary cities in the EU in an initiative by MEPs. The bearer of these tidings was Andrey Novakov MEP, who personally brought us the excellency certificate. The European parliament initiative “Let the stars shine” aimed to bring attention to the rich palette of inspiring actions, projects and initiatives that are being carried out across Europe. Three Bulgarian projects were recognised in the initiative, amongst which was Gabrovo’s Integrated water cycle project. When giving the award, Andrey Novakov stated that Gabrovo has yet again proven itself a role-model for investment of EU funds. The city’s water project was Bulgaria’s entry into the exhibition commemorating 30 years of Cohesion policy presented in the European Parliament in Strasbourg and was an example of 28 successfully completed projects in the EU. As you already mentioned, Gabrovo’s water project was presented as a role-model for investment of European funds and as one of the 28 successful projects during an exhibition in the European Parliament in Strasbourg dedicated to 30 years of Cohesion Policy. Tell us more about the project and the changes it brought to your citizens. Gabrovo has received many awards and recognitions that have inspired us to always be active, successful and confident when developing our ecological infrastructure and when implementing modern solutions that protect the environment. The water project is a courageous investment of great magnitude in the water sector that not only brought about much needed improvements to infrastructure but also contributed to environmental protection and preservation of the balance of nature. We have constructed 120 km of pipelines, we have repaired 5 pumping stations, our purification plants for drinkable water and sewage have been completely reconstructed, we secured additional investments and laid out new asphalt on 100 streets covered by the project. The new infrastructure greatly improved our WSS - enhanced water distribution, reducing water loss by more than half thanks to the rehabilitation of 85 km of pipelines; eco-friendly management of sewage waters and environmental protection thanks to the replacement of 19 km of already existing sewers and construction of 17 additional km; improving the connectivity to the city’s main purification plant by including 3 more neighbourhoods. Thus, by employing large-scale engineering solutions to the city’s WSS sector, Gabrovo received modern, eco-friendly and reliable infrastructure of a new generation. Numerous are the implemented and planned municipal projects co-financed by the EU. This is thanks to you and your team. What advice would you give to your colleagues from Bulgaria and Europe who hesitate to apply for European funding and support? I will give them the following example – in just a single year /2015/ with a financial framework of nearly 40 million leva, Gabrovo managed to invest in projects 10 times as much as it was able to with just its municipal budget. I will tell them that with EU funding, Gabrovo found the solutions to problems that were impossible to solve on a municipal budget – the best example for that is the city’s Water project. The support provided by the EU for Bulgarian citizens has considerably improved their lives in many areas. But the next programming period will also feature projects. Bulgaria will still be receiving substantial aid, this time focusing on young people and education, digitalisation, intelligent specialisation, energy efficiency and climate change. Municipalities and regions have to continue using EU funding in order to create better conditions for their citizens and support their development. Besides being mayor, you are also the leader of the Bulgarian delegation of local authorities in the Committee of the Regions, member of the Committee on Territorial Cohesion Policy and EU Budget, and of the Commission on Social Policy, Education, Employment, Research and Culture. Last but not least, you are a mother. How do you handle so many responsibilities? I’ll be honest – it’s hard to achieve this very important balance and more often than not, my private life as a wife and mother suffers due to my professional and social commitment and responsibilities. Let me use this opportunity to thank my family for their understanding, their support and their just criticism. The most important thing that has motivated me and continues to motivate me has been my feeling of duty to the job – I wholeheartedly devote my energy and my love to it and I never forget that the people have given me a mission and I can’t ever rest from it. One last thing - it would be great if you invited the citizens of Europe to the Carnival in Gabrovo 2019. What should they know about it? The carnival is the event we’re most proud of and everyone here is looking forward to it. It’s the oldest and richest of carnivals in Bulgaria. Participants in the event number over 2500 and are divided into 80-100 “pictures”. The carnival also has a theme – it’s no coincidence that Gabrovo is called “The capital of humour”, we laugh at ourselves, at our weaknesses and actions, but also at others – we like telling people the truth. We laugh at politicians – Bulgarian and foreign, at social issues and more often than not at things that you shouldn’t be joking about. The carnival has its own scriptwriters, artists, tailors, we create parade floats that participate in the carnival. Many Bulgarian politicians and celebrities have had their own floats – the prime-ministers, the presidents, Putin, Trump, Kim Jong-un, Macron, Theresa May, Condoleezza Rice, Merkel. It’s become a tradition for Gabrovo’s mayor to put on a disguise but a lot of other politicians and celebrities, arriving precisely for the carnival, also take part. The carnival is the culmination of the International Festival of Humour in the city – a week filled with amazing events, dedicated to laughter – theatre plays, art exhibitions, concerts, debates, street performances, magic, live cat exhibitions and tons of other initiatives. On 17 May the International Biennial of Humour and Satire in Art will take place. Gabrovo’s biennial is organised by the Museum of Humour and Satire and this year artists are invited to present their edgy interpretations of public life. The exhibition will include contemporary art and caricature depicting public life, public art, societal debate, media, common interests and other topics concerning the public dimension. This is its 24th iteration. At the beginning of the year, the International festival of Humour and the Carnival again defended their EFFE labels – a European label for quality, uniqueness, commitment and relevance to the community. A recognition that places alongside the biggest European festivals. 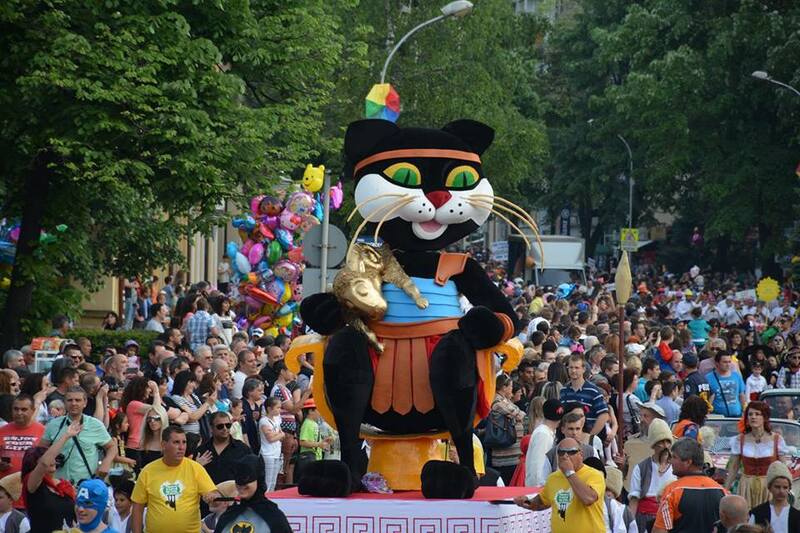 The citizens of Gabrovo invite you to the Carnival on 18 May. The start of the march is at 18:30, but we advise everyone to dedicate their whole week in order to get the full dose of the medicine that cures all ailments – laughter!